NTCC director Gary Martell (top, back, center) shows Wyalusing school board members and administrators the cosmetology lab as part of a tour of NTCC on Monday evening. Chad Salsman (above, left) and Matt Muench were reelected by the Wyalusing Area School Board during their monthly meeting as president and vice president, respectively. Members of the Wyalusing Area School Board (WASB) met in North Towanda on Monday evening for a reorganizational meeting and biennial visit to the Northern Tier Career Center (NTCC). Administrators and board members from both Wyalusing and Towanda enjoyed a meal prepared by NTCC’s culinary arts students and were then provided separate tours of the facility prior to their monthly meetings, which were held on site. 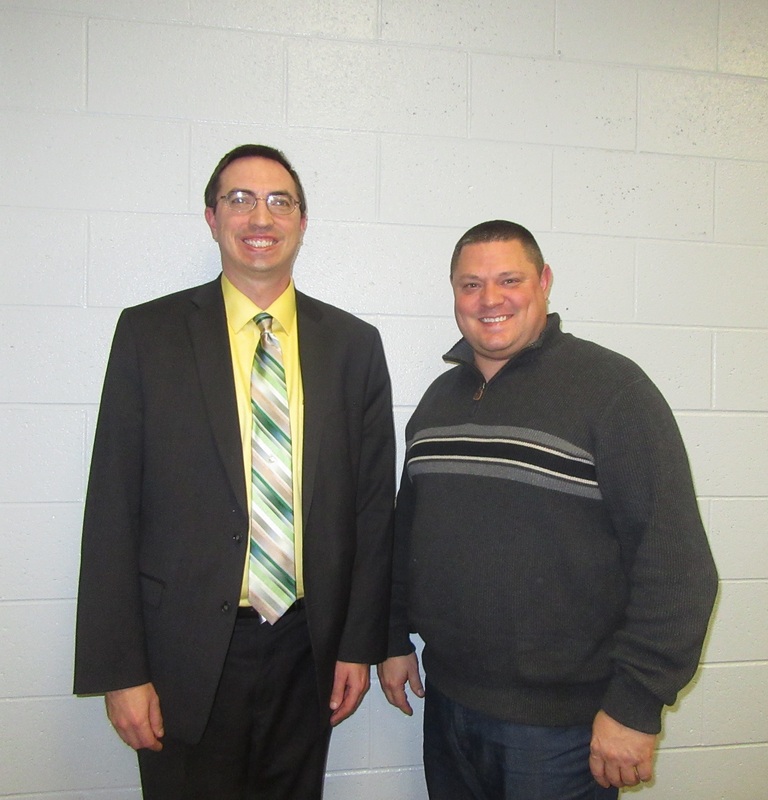 The reelection of Chad Salsman and Matthew Muench as WASB president and vice president, respectively, was swift and unanimous. Board member Gene Anne Woodruff complimented Salsman for what she termed a “major transition with him at the helm” and that that board and district had benefited greatly “having Attorney Salsman represent us to the letter of the law.” Doug Eberlin served as temporary president during the nomination and voting process. The proposal to increase superintendent Jason Bottiglieri’s salary by more than $15,000 was not so cut-and-dry. Wyalusing resident Jason Boatman spoke up against the size of the raise during the first public comments portion of the meeting. Ultimately, the measure did pass by a 6-to-2 vote, and Bottiglieri’s salary was bumped up to $135,000. The dissenting votes were cast by long time board member Richard Robinson and Kent Corson. Robinson made it clear that he was not against a raise, but the amount troubled him, especially in light of the fact that school taxes have been raised by the maximum allowed for two years running. Salsman cited Bottiglieri as the “best superintendent in the county,” even though his hiring was somewhat of a risk for the district, given that Bottiglieri’s had never served in that capacity. The salary at which he was hired, Salsman continued, was reflective of that uncertainty. The superintendent, he maintained, had more than proven himself. “Dr. Bottiglieri has earned his raise,” Salsman stated. The amount is lower than the state average for superintendents and not the highest in the county. The reasons for having a board meeting every other year at NTCC, Bottiglieri explained, are numerous. The former Bradford County VoTech School is technically owned by eight school districts, including Wyalusing. Since 1978, the institution has evolved to meet the needs of a changing economy by producing students ready for the workforce or better-prepared for college. 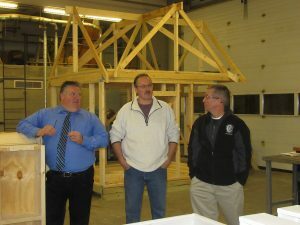 The visits provide an opportunity for board members to become better acquainted with the school. A unique program with Penn State University called Penn College Now allows for students to earn up to 12 college credits at a cost of $100 each, about 10 percent of what they would pay for the same credits if enrolling in college after graduation from high school. They also enter college ahead of their fellow classmates and can finish their degrees more quickly. Approximately 50 percent of NTCC graduates move on to post-secondary education, director Gary Martell related. Forty-three go directly into the work force, and about seven percent go into the military. “We’re promoting a skilled workforce,” Martell told the WASB members, noting that businesses today are seeking more young adults with highly specialized skills than college graduates with broad degrees. Too many people are graduating from college and forced to take jobs that have nothing to do with their degrees. Though Martell stopped short of dissuading students from going to college, he maintained that the conventional wisdom that everybody has to have some kind of bachelor’s or master’s degree to succeed in life no longer holds true. The curriculum at NTCC allows for instructors to foster specific interests among the students and steer them toward careers, he added. 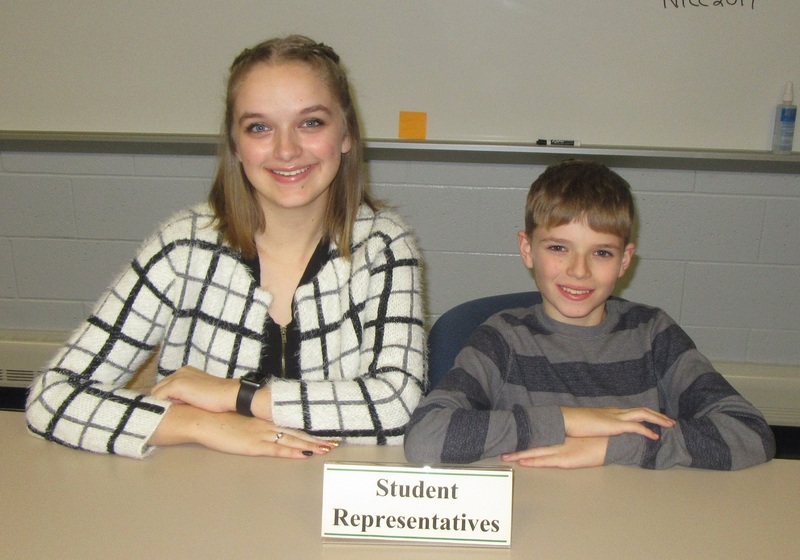 Siblings Mackenzie (left) and Trennan Tewskbury enjoyed an uncommon opportunity to serve together as student representatives for the Dec. 3 meeting. 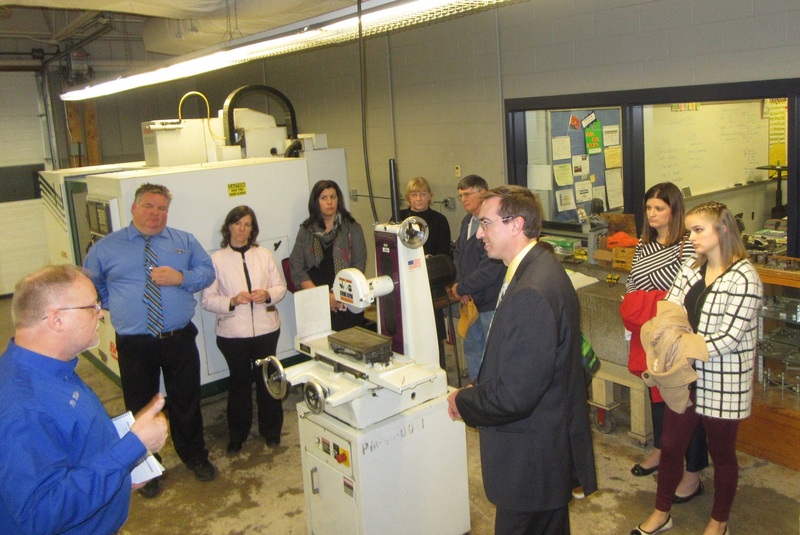 NTCC instructor Tom Milks (left) fields questions from Wyalusing School Board members and administrators about the school’s Machine Tool Technologies program. 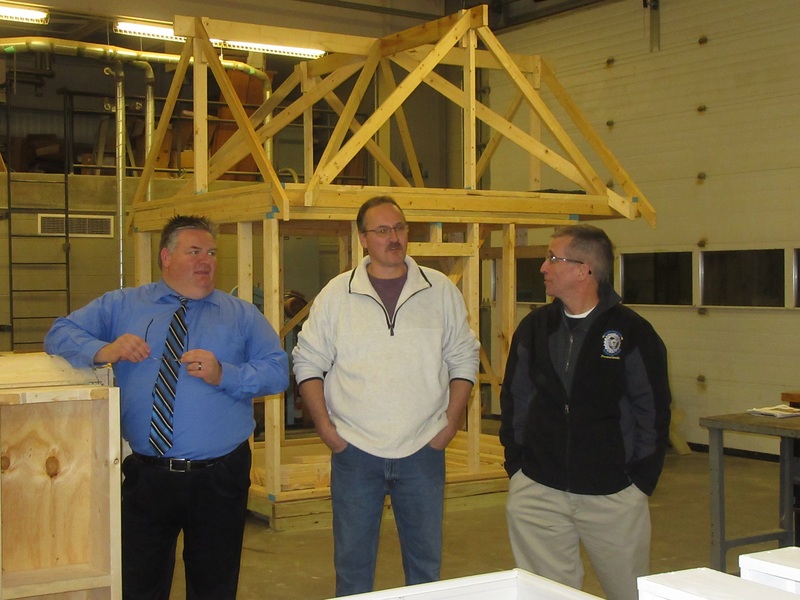 Instructor Darren Howell (center) explains the various facets of NTCC’s Building Construction Trades program, flanked by NTCC director Gary Martell (left) and Wyalusing School Board member Doug Eberlin. 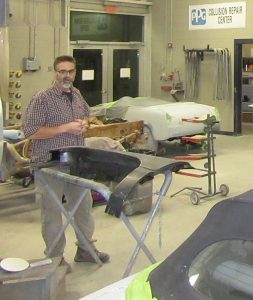 Automotive Collision and Repair Technology instructor Dion Sullivan provides details on a number of student projects around him that are coming to fruition simultaneously. 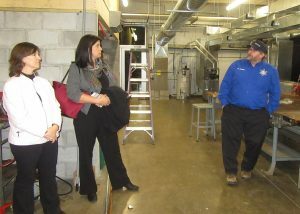 Mechanical Trades instructor Patrick Davidson (right) discusses NTCC’s HVAC program with Wyalusing curriculum and instruction coordinator Deana Patson (center) and elementary school principal Deneen Lantz.